Document Notes: One of the final report series produced by the WRA. Written with the same sympathetic view as her other works, this book describes the efforts made to protect the property of evacuees. It illustrates a significant, though sometime failed, effort to protect and preserve. It ends with a hope for congressional relief for losses which happened in 1948 and was followed by several other bills in later years. 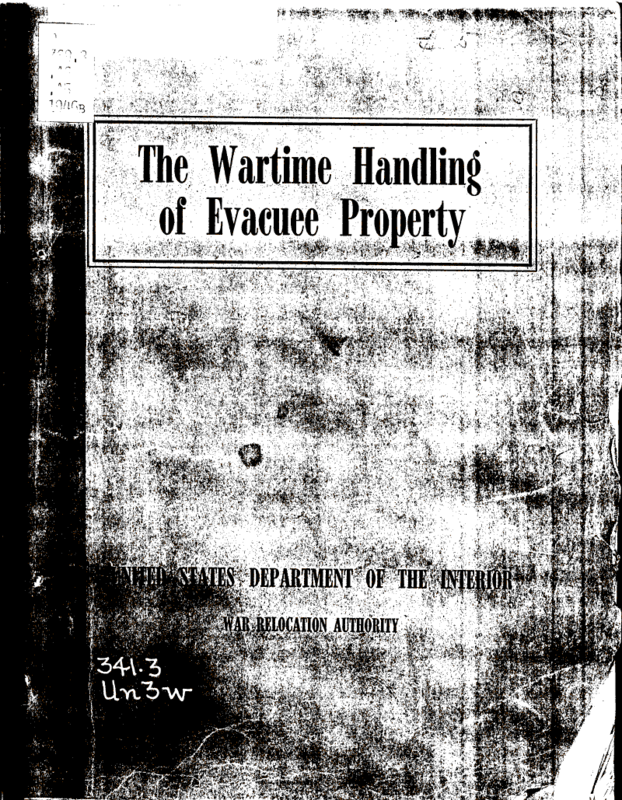 In the popular version of the evacuation not much is ever said about the efforts to protect evacuee property. It is usually said tha they all lost everything, which of course is not true.